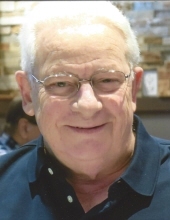 David B. Evans, age 77, of Hampton Township, passed away on Sunday, January 20, 2019. Born January 17, 1942 in Jamestown, New York, he was the son of the late Richard O. and Edith (Haskin) Evans. He is survived by his wife, Patsie (Henkle) Evans; son, David Evans and his wife, Melissa; daughter, Kristi and her husband, Mike Lenahan; grandchildren, John, Joseph, Matthew and Paul Evans, Evan, Maggie and Katherine Lenahan; sister, Suzanne and her husband, Douglas Neckers; brother, John and his wife, Kathy Evans. David was a dedicated and loving husband, father, and grandfather. He was a veteran of the Air Force where he served as a C-130 navigator. He was an active member of the Hampton Rotary, volunteering his time to help those in the community. David was an avid sports fan but is best known for his love of golf which allowed him to meet and connect with so many people in his life. David’s family will welcome friends at 10:00 A.M. on Tuesday, January 29, 2019 for one hour preceding the service at Bakerstown United Methodist Church, 5760 William Flynn Highway in Gibsonia. A Funeral service will be held at 11:00 A.M. on Tuesday, January 29, at Bakerstown United Methodist Church, with Pastor Keith A. Dunn officiating. In lieu of flowers, the family suggests Memorial donations may be sent to the Rotary Club of Hampton Township, PO Box 685, Allison Park, PA 15101. To send flowers or a remembrance gift to the family of David B. Evans, please visit our Tribute Store. "Email Address" would like to share the life celebration of David B. Evans. Click on the "link" to go to share a favorite memory or leave a condolence message for the family.